What Makes a Premium Bible? The Premier Collection from Thomas Nelson and Zondervan Bibles combines fine craftsmanship with premium materials, excellent design, and the exclusive Comfort Print® KJV, NKJV, and NIV typefaces. 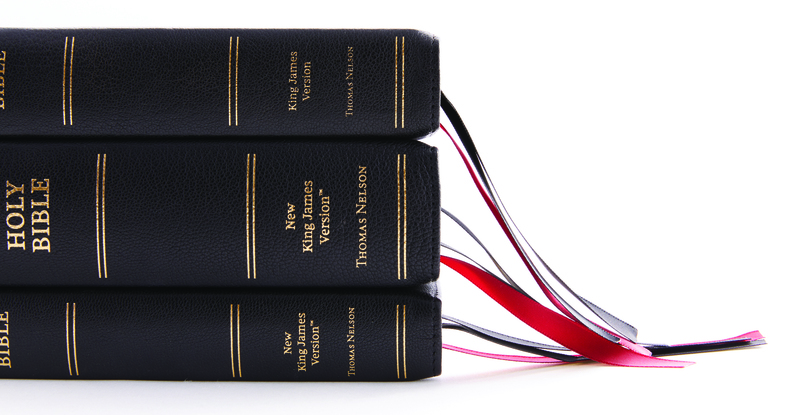 Take a closer look at the features that make up the Premier Bibles for the King James Version (KJV), New King James Version (NKJV), and New International Version (NIV). Shop the Premier Collection now! Art gilding is a specialized process for treating edges of the Bibles pages. Both a rich dye and a metallic coating are applied to create a stunning depth and finish as the pages are fanned out. These Bibles feature wide yapp (the part of the leather cover that extends beyond the page edges) to protect the art-gilding. Select, full-grain premium covers are hand-bound to the book block using an edge-lined construction for optimum flexibility and durability. Beautiful opaque 36 gsm European Bible paper is bound together with fine, strong thread using the Smyth-sewn binding method, just as high end books have been crafted for hundreds of years. The Premier Collection Bibles include Thomas Nelson’s King James Version (KJV) and New King James Version (NKJV) and Zondervan’s New International Version (NIV). About the KJV: The most widely ready English translation for over four centuries, ideal for study, memorization and worship. About the NKJV™: Commissioned in 1975 by Thomas Nelson Publishers, the NKJV was developed by 130 respected Bible scholars, church leaders, and lay Christians. Over the course of seven years they created a translation that was completely new and modern, yet retained the purity and stylistic beauty of the original King James. With unyielding faithfulness to the Greek, Hebrew, and Aramaic texts, the NKJV translation reflects the most recent research in archaeology, linguistics, and textual studies. About the NIV: The New International Version (NIV) is the world’s bestselling modern-English Bible translation—accurate, readable, and clear, yet rich with the detail found in the original languages. The NIV is the result of over 50 years of work by the Committee on Bible Translation, who oversee the efforts of many contributing scholars. Representing the spectrum of evangelicalism, the translators come from a wide range of denominations and various countries and continually review new research in order to ensure the NIV remains at the forefront of accessibility, relevance, and authority. Every NIV Bible that is purchased helps Biblica, a nonprofit ministry organization, translate and give Bibles to people in need around the world. To learn more, visit www.thenivbible.com. 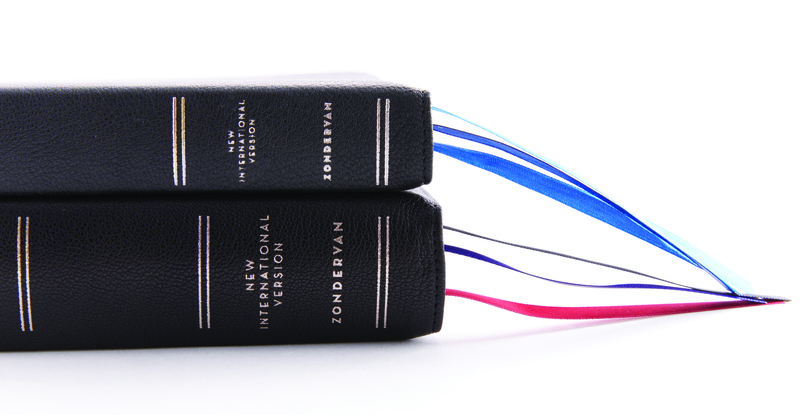 About Zondervan: Zondervan is a world leading Bible publisher and provider of Christian communications. Zondervan, part of HarperCollins Christian Publishing, Inc., delivers transformational Christian experiences through its bestselling Bibles, books, curriculum, academic resources and digital products. The Company’s products are sold worldwide and translated into nearly 200 languages. Zondervan offices are located in Grand Rapids, Mich. For additional information, please visit www.zondervan.com. Owning several high end Bibles (Schuyler, Clarion, etc. ), I’d like to congratulate Thomas Nelson and their development team on a job well done! The Clarion typeset has long been my favorite as it has the rare ability of keeping the actual word of God in the forefront but giving quick access to excellent accompanying tools and references. The Clarion having to small a font to preach from has kept me searching, and though I’ve greatly appreciated the outstanding attention to detail with the Schuyler NKJV offerings, I’ve missed both the single column and a margin-located reference / translation note location. Great choice on using 2K for the font, excellent choices all aroun in creating a premium Bible at far below the normal price-point. My one request would be to offer the NKJV with the blue under silver gilding… such a stunning and more refined combination to my eyes. Thanks again for the obvious effort which went into this Bible. All my children (6) have learned to read from the Thomas Nelson personal giant size Bible… another example of many excellent choices coalescing into a highly usable and noteworthy product. Thank you for the review! It really is a blessing for our team to know that people are noticing all the details of these Bibles. Thanks for the request to offer the NKJV with the blue under silver gilding option. I will pass that to our design team for further search. Thanks again! very nice bibles;will you be offering the same quality in a hardback bible ? Hi Leslie, Thanks for the comment. As of now, our Premier Collection is limited to premium goatskin covers as they is usually a standard with premium Bibles. There isn’t a plan for a hardback in the Premier Collection line. Hi there is there any chance that you would print a wide(r) margin version of the NKJV either double of single column for note takers? We do have wide margin Bibles in our Journal the Word line. https://www.thomasnelsonbibles.com/journal-the-word/ You can learn more at the website. We do not recently have the wide margins on the Premier Collection. I will mention your feedback to our production team to investigate. Thomas Nelson just sold me on their premier Bible! I used to preach from my Schuyler Quentel, but not anymore. The first Sunday after I got my Thomas Nelson, I started preaching from it, and haven’t stopped since. The comfort print makes it easy for me to read in front of a crowd. The durability, portability, and paper weight is optimal. I own a number of premium Bibles, but Thomas Nelson is the only one I carry with me even when doing hospital visits, and for personal reading. The only difficulty I’m having is getting my Bible registered. I’ve gone to the website, filled out the form, but it never gets accepted. If anyone can help on this, I’d appreciate it! Thanks for the comment, and thank you for purchasing the Premier Bible. It’s great to hear that you are happy with it and using it so much! I am sorry you are having trouble registering the Bible. I have noticed that the form can’t produce an error with the auto-fill tool in some web browsers. Let me know if that makes a difference the next time you fill out the form. If not, I’ll work to find another solution. Thanks John, I went back to the registration page, and got it taken care of right away. I Noticed that I’d been trying to use the wrong number for the ISBN. When I took the listed number off the box my Bible came in, it worked perfectly. Thanks again! This is great to hear, Shawn. Thanks again for the comment. Select, full-grain premium covers are hand-bound to the book ”bock” using an edge-lined construction for optimum flexibility and durability. Just trying to find my bible. No luck yet.